The lengthening shadow of increase in health spending in the coming years is sharpening the minds of legislators, regulators and payers alike. The growing time-to-market, the rising costs in development of novel medicines, as well as the more basic drive to be ‘ahead of the game’, forces the industry and the legislators to rethink basic postulates of drug development. The global regulatory environment is undergoing major reshape, allowing patients early access to breakthrough technology and allowing industry opportunities for early access to market. Patient advocacy groups are incorporated in legislation discussions, and are brought into the room where industry and regulator discuss the clinical development of novel therapies. These regulatory issues within the industry will be addressed by the MHRA this October. Janet Glassford, Senior Quality Assessor (Biologicals), MHRA will be presenting a UK and EU regulatory affairs perspective. The MHRA will look into the impact of Brexit and further initiatives within the cell and gene space. The presentation will look into a way of designing clinical trials in a way that comes up with the evidence regulators need to accelerate ATMPs. Also, what support is available for companies who are early in the development process, and ensuring safety while reducing the cost of development, by working together with regulators to make the approval process more efficient. 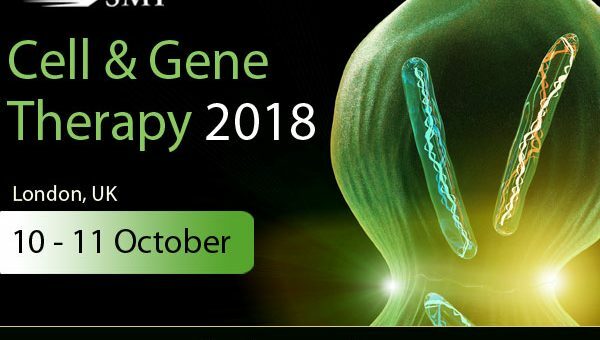 With the event being held in the United Kingdom (UK), this a great location for the inaugural conference as the UK is investing £3m ($4m) to build a workforce capable of delivering cell and gene therapies to patients at commercial scales. Innovate UK, a nongovernmental public funding body, is making the money available to equip the UK to handle commercial cell and gene therapies. This has enabled more investments and differentiated the UK from the EU companies. The UK has already made major commitments to the development of such advanced medicines, but commercial products present a fresh challenge. Ian McKay, Innovation Lead, Advanced Therapies, Innovate UK, will be speaking at the conference about supporting advanced therapies – the Innovate UK perspective. Plasticell is a biotechnology company developing therapies through precise manipulation of stem cells and more differentiated cell types using award-winning combinatorial screening technology. Using combinatorial screening technology, enables Plasticell to test large numbers of cell culture variables to derive optimal laboratory protocols for any given outcome in cell biology, including cell expansion and differentiation, gene transduction and protein production, as well as the provision of human cells for drug screening. Plasticell collaborates with leading universities and industry partners to facilitate discovery and improve product manufacturing in a variety of high value areas such as cell therapy, gene therapy, cancer immunotherapy and drug discovery. Yen Choo, Founder and Executive Chairman, Plasticell will be presenting an opening address on the advances in cell therapy process development and optimisation at Plasticell. He will discover the development of their combinatorial screening product. the expansion of hematopoietic stem cells from cord blood for allogeneic transplantation and enhancement of viral transduction efficiency for autologous gene therapy to treat rare diseases. For further details, download your copy of the agenda.